SEBASTIAN – A 22-year-old man was arrested for operating a boat under the influence of alcohol at the Main Street boat ramp in Sebastian, according to the Florida Fish and Wildlife Conservation Commission (FWC). An FWC officer was on patrol at the boat ramp when he observed Samuel Mazzarell approach the dock at the boat ramp. “I approached to conduct a vessel safety inspection [and] was able to see signs of impairment,” according to the FWC officer in his report. The officer observed dozens of empty beer bottles and cans and two partially empty liquor bottles. During the inspection, the officer had to repeat instructions multiple times to Mazzarell as he struggled to maintain his balance. Mazzarell told the officer he had five beers. He was then asked to conduct a standardized field sobriety test, which he failed. 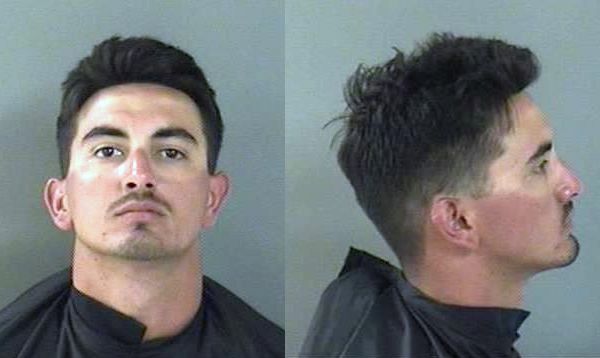 Mazzarell was arrested and transported to the Indian River County Jail where he was charged with operating a boating vessel in State waters while impaired.